The recent comments about front brakes have got me thinking. Is it time to put the front brakes back on? It wasn’t too long ago that just about every freestyle rider rode front and rear brakes…now the pendulum has swung the other way with many riders seeing brakeless bikes as the new standard. Have things gone too far? Are we missing out by running just a rear brake or no brakes at all? Before you answer, check out the videos below. Exhibit A: Eben Fischer makes the case for front brakes. Jay Miron, front brakes till the end. Is a Model-C with wave tubing next? I’m not sure how I missed this when it came out but inthegnar.com has a great interview with Jim Cielencki of Sunday Bikes on their site. The 24″ stuff has been an interesting surprise. Bikes are at an interesting time. It really seems like the definition of track bikes, MTB and BMX is becoming less clear. You are starting to see MTB and track bikes coming towards BMX with its tricks, style and use of BMX parts. The 24″ has been great because it allows older and bigger guys to ride BMX without having to think they should be on a MTB. The 24″ is a Wave C prototype with front brakes. My bike is so good right now. Whoa…now that would be cool if it went into production. 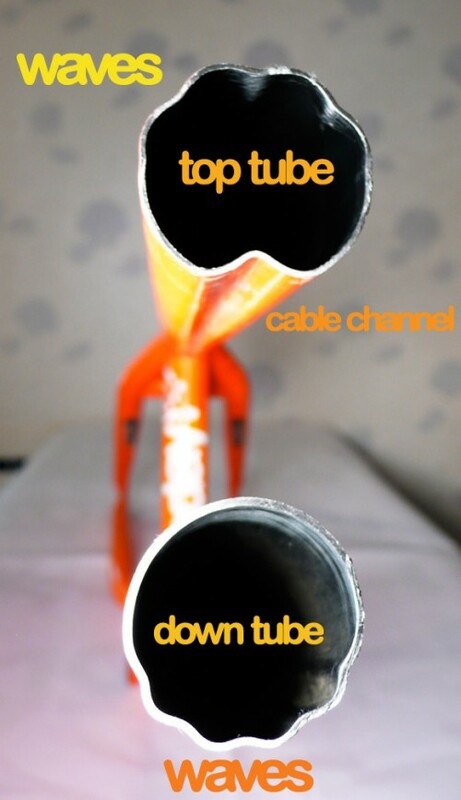 Wave tubing. Fingers crossed the Wave C shows up at Interbike. Having a bike stolen can feel like a sucker punch to the gut. Your prized possession…gone. In many cases, never to be seen again. Since your bike is the link to doing what you love, hearing a story about someone having a bike stolen seems to prompt a visceral response when you hear it. I know it does for me. 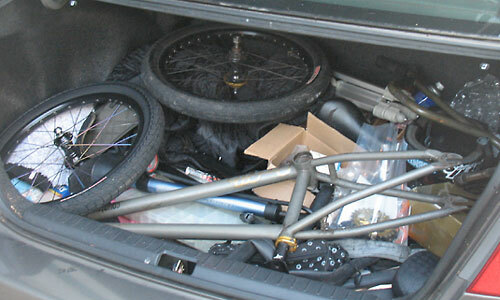 It’s 4 o’clock and time to meet my buddy Matt for a Monday street session…except my bike is no longer on my rack. At first I thought it was a joke – I scour the shop to make sure it’s not hiding behind any of the shelves, stuffed in the machine shop, or behind the trailer. Nothing. I realize my bike was stolen right off my rack, 10 feet away from my desk. I was separated from my car by a bay door. Even guys that work for big bike companies like Profile. Check out Matt Coplon’s stolen bike story (where the excerpt above comes from) to find out how he handled it. For more on Matt Coplon, check out Matt Coplon’s 24 hour session. One of the biggest influences on my “biking career” has to be my dear ol’ Dad. Since I first picked up a BMX, he’s been my go-to guy. From fixing my bike, driving me to races and displaying an incredible knack for bringing beat-up/broken bike parts back to life, he gave me the kind of support that no bike company sponsorship could provide. When other fathers would get worked up at the track yelling at their kids, he would shake his head and say he was just glad we were having fun and going home in one piece. He’s the guy who taught me to ride a bike in the first place. I still remember him running alongside me, one hand on the seat post, encouraging me to “pedal, pedal.” I pedaled as fast as I could. After a while I realized he wasn’t holding on anymore. I looked back and saw him standing there, a little nervous but with a slight smile on his face. It felt scary but so good at the same time. I was on my own but my Dad was still there if I needed him. I get pretty stoked after a good riding session but it appears certain people are taking things too far. Some believe it has the makings of an epidemic. For more on this, click on the image below for a report from theonion.com. For many in the BMX world, the stereotypical image of the cruiser rider as a squirrelly, middle-aged cruiser racer persists. Nobody under 30 rides a cruiser (unless it’s for racing). “Big” tricks are only done on 20″ bikes. If you’re a regular reader of this blog, you know that this kind of “traditional wisdom” is rapidly falling by the wayside. Check out this web clip from Ollie Sandles. Granted, it’s mostly 20 inch riders but look closely at the lone cruiser rider (who I think is Peter Beer). In addition to a nice turndown at the beginning, check out from about 1:54 on….flairs, tailwhips, vert airs. This (relatively) young guy is tearing things up…including all those old stereotypes about cruiser riders. Most BMX magazines are, at best, hot and cold on cruisers. Not many are bold enough to put them on the cover. BMX Action did back in the day. These days? You’d be hard-pressed to find cruisers getting a mention, much less the cover. 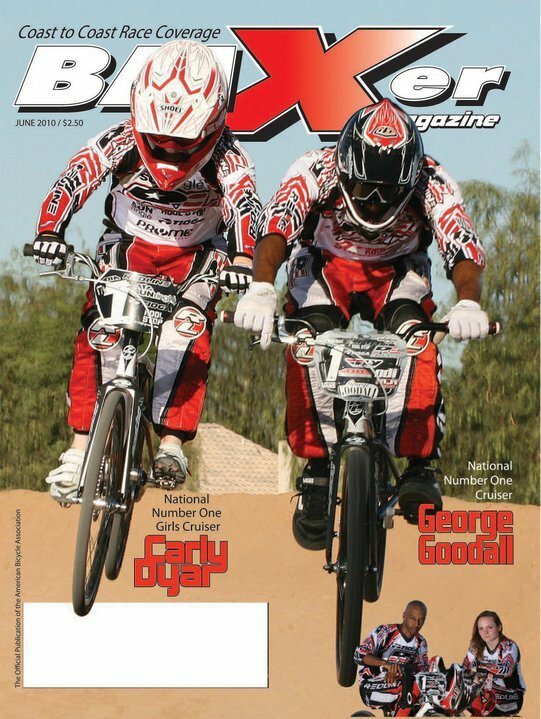 That’s why it’s such a cool surprise to see BMXer magazine stepping up and putting George Goodall and Carly Dyar, the two national number one cruiser riders, on the cover. Good on ya BMXer for stepping up!